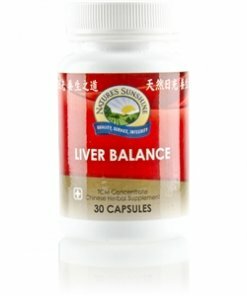 Nature’s Sunshine Liver Balance TCM Concentrate draws on Traditional Chinese Medicine to support a stressed wood constitution. The same formula as Liver Balance TCM but in a highly concentrated form, this 12 herb blend nourishes the digestive and nervous systems. Known as tiao he or “harmonizing” in Chinese, it promotes proper liver function and helps reduce stress. Scute, peony, bupleurum, and atractylodes, all part of the Liver Balance TCM formula, regulate nervous system function and help relax the upper digestive system during times of high mental stress. Instructions: Take 1 or 2 capsules with a meal daily. 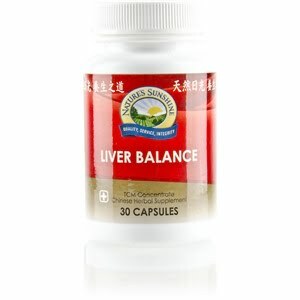 Each capsule is equivalent to 5 capsules of regular Chinese Liver Balance combination. TCM denotes Traditional Chinese Medicine. Magnesium stearate (vegetable, silicon dioxide (powdered silica), gelatin, and water.